EASTER MESSAGE: I wish you and all your families all the joy of this Holy Season of Easter. A sincere thank you to all who helped in any way with the Holy Week Ceremonies. 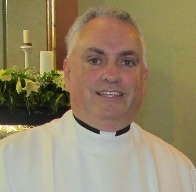 I ask that you keep our bishop-elect Fintan Gavin in your prayers as he prepares for his episcopal ordination on the 30th June, and moving to the diocese of Cork & Ross. Thank you to everyone who has returned their dues envelopes; it is very much appreciated . Fr Kevin. Shortly we will celebrate as the Christian community the central mysteries of our faith the death and resurrection of Jesus. In remembering the events of Holy Week, we are not just commemorating them. We are drawing strength from them and reminding ourselves of our core beliefs as Christians. At this time of the year we look back at 2018 and we see the high and low points of the year. The presence of Pope Francis in our country in August for the conclusion of the World Meeting of Families was a high point for many people. He addressed many of the difficult situations facing the Church in Ireland at the present time. Speaking to families in Croke Park on Saturday the 25th August Pope Francis said “as families, you are the hope of the Church and of the world! God, Father, Son and Holy Spirit, created mankind in his image and likeness to share in his love, to be a family of families, and to enjoy the peace that he alone can give. By your witness to the Gospel, you can help God’s dream to come true. You can help to draw all God’s children closer together, so that they can grow in unity and learn what it is for the entire world to live in peace as one great family.” These words of Pope Francis are a challenge to us as we face into a New Year in which there is so much worry about Brexit and other political situations here in Ireland or abroad. We just have to remind ourselves that we can bring about change in our lives, and by working together can transform our world. We just have to have courage. The New Year will bring joys and happiness into many lives while others will experience hardship and sorrow. We know that God will be there with us helping and supporting us no matter what we encounter during the year. As we approach Christmas we look forward to celebrating with family and friends the birth of Our Saviour. May all who are travelling reach their destinations safely. Annual Mass of Remembrance St John’s Cemetery, Ballinrea. Death creates a heartache which in time will heal, love creates memories which death cannot steal. • A parish is not only a piece of territory defined by specific boundaries. It is also formed by people who have faith in Jesus Christ and who allow that faith to shape, inform and inspire what they do and how they live.